How do you write specifications? It’s a very often asked question if you decide that you need some software to be developed for your business. Companies, especially if they are not involved in the software development area, can be really confused when the need for specific software writing comes arises. For example: If you need a mobile app and decide to ask another mobile application development company for help, they will probably ask you for the specifications of the project. In this post, we’ll look at the most common things that any specification should have and explore mobile apps development specifications. A technical specification is a document that defines a set of requirements that a product or assembly must meet or exceed. A product or assembly that does not meet all of the specifically expressed requirements does not meet the specification, and often is referred to as being out of specification or “out of spec.” Specifications are used when a contract for technical products or services is issued. The technical specification defines the requirements to fulfill the contract. Why do we need specifications? Specifications ensure that the client gets the product or service required. 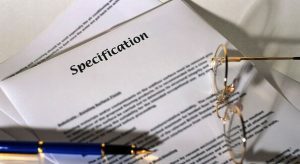 Specifications spell out to the contracting party precisely what is wanted. 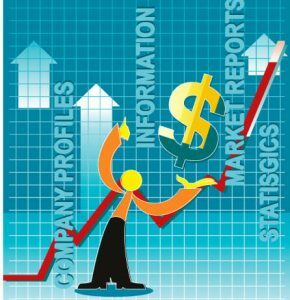 Specifications help to correlate expenditures with a budget. The introduction should include the purpose, scope, definitions, technologies to be used, the timeframe for product delivery, budget. 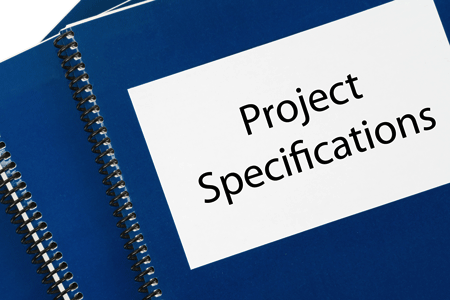 The introduction should describe what the specification consists of and explain how the specification is organized. Include such items as product perspective, product functions, user characteristics, constraints, assumptions and dependencies, and requirements subsets. This section should contain all the software requirements to a level of detail sufficient to enable designers to design a system to satisfy those requirements, and testers to test that the system satisfies those requirements. It includes: a) Table of contents, b) Index, c) Appendices. Here you list any question and doubts concerning your project, and technologies that you use. So, let’s have a more detailed look at how to write a good mobile app development specification. 1.1 The idea of the project – Give your service provider as many details about your mobile app development project as you can. 1.2 Determine the key goal of your mobile application – Provide a brief but accurate explanation of what you would like to achieve. 1.3 Specify what platforms your mobile app should work on: Android, iPhone, BlackBerry, or any other, whether it should be a cross-platform or not. 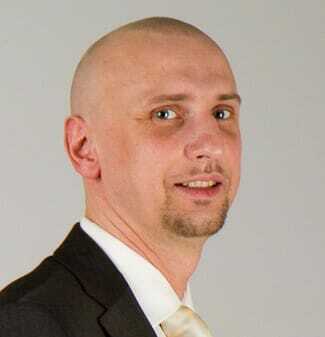 1.4 Graphical design – Clarify whether the design will be outsourced. (If so, specify who will be working on design-related tasks: contractor or a freelancer, …)or whether this will be done internally. 1.5 The budget of the project -clarify your budget limitations. 1.6 Desired time-frames for product delivery – Specify the date and milestones when you would like your mobile app development project to be delivered. 2.1 Screens – Screens (tabs) should be presented separately, with images available, presentations, and all other visual materials. 2.2 Social media integration- Clarify if your mobile app should be integrated with social media (Facebook, Twitter….). 2.3 Landscape mode – Clarify whether you would like a landscape mode to be implemented in your mobile app. 2.4 Offline work – Mention whether your mobile app should be able to store any data on the device. 2.5 Server collaboration – Clarify whether your mobile app will have to send any data from/to an external server. Provide some general description of the server part. 2.6 Printing features -Point out if your mobile app should be able to print the information, and, if so, what types of data will be made available for print. 2.7 In-app purchases integration – Mention if your mobile app users should be able to buy content inside the app, and, if so, what type of content will be sold. 2.8 Geo-location services – Point out whether or not your mobile app will have geo-data functionality. 2.9 Push notifications – Clarify if your app will have push notifications for enhanced user interaction, and, if so, what types of notifications will be implemented. 3.1 Target group – Present your ideas about potential users of your mobile app. 3.2 Competitors – Mention competitive products you want your potential service provider to have a look at before giving you any project assessment. 4.1 Responsible people from your side – Clarify who and how many people will be involved in leading your mobile app project management in your company. 4.2 Communication – Describe the desirable method(s) of communication you wish to have with your service provider. 4.3 Complementary information – Provide any other project-related details here, questions, etc. 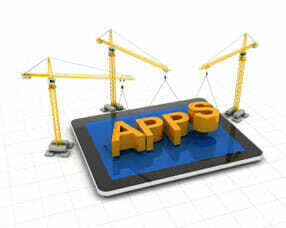 With the ever increasing demand for applications, the market cannot keep up with the number of application downloads. By developing both a standard, as well as unique application to be used on smart phones, you will be able to provide a well-developed and appealing product to customers. Any smartphone app development company will always keep a target market in mind, even before they start any planning on programing or what platforms the application will be used on. It is an important aspect to consider, even before you start to develop you applications. Different aspects will appeals to different markets. A professional developed app which is elegant and simple will appeal to adults, while and entertaining, and empowering application is more appealing to teenagers. The market of applications focused on children is the fastest growing, and it has the largest appeal, especially for parents who what and simple, yet entertaining application to distract their children. Target audience is the first and most important aspect to keep in mind when developing a mobile application. Mobile app development is dependent on the platform it will be used on and different platforms use different programing. An important aspect to keep in mind is what device you are developing the applications for, as different smart phones required different programing. You should always aim to have you application as universal as possible to be able to appeal to a larger market, but focusing on a specific smart phone app will also create a more specific target market. It is important to understand that most mobile device has limited screen space and you must plan accordingly. In order to perform the best on a certain platform, the design needs to correspond with the mobile device being used. When developing applications, you would always keep specific platform aspect in mind to make sure that they function properly on the device you are targeting. All app development companies know the importance of offering applications at a competitive price. This is to not only make sure that they make a profit from the development and sale of the applications, but also that the price they are offering is competitive and will attract customers to their store and get them to buy the applications that they are offering. Many stores will offer some of their small or less popular applications for free, but this is to attract customer in order for them to buy other more professional and popular apps. If you are new at app development, then offering yours at a low price is a good idea, but it still needs to be a fair amount to make sure that you make a good profit, and also to make sure that customer will see the application as well-developed and professions. Often good applications that are offered at a low price are avoided. It is good to do some market research before settling on a price. In mobile app development, the design is the aspect that truly sells the applications. The development of the design will be depended on the target market that you are focusing on, the platform you want to develop the application for, as well as the amount of money you want to charge for its download. Even an application that is available for free must be well-designed. It is important to always create a design that will work well on the mobile device, while keeping it as simply as possible. Simple, appealing designs will make sure that the application not only works well on the platform it is used on, but also makes it user-friendly. Easy navigation in the form of lists and icons must always be included, as well as simple font and no excessive writing. It should not contain many images, and must not exceed an average of about 100 kilobytes. The only way people will know about your application and want to download it, is if you market it. App development companies take advantage of social networking sites to create customer interest. Twitter, Facebook and other sites have become a key aspect in advertising the applications you have available, and will create an easy to use platform to market you app to a worldwide audience. Marketing is just as important to keep in mind when you develop a mobile application. Each of the five different aspects that you should keep in mind when developing a mobile app are important. You cannot exclude any of them. What’s The Best Project Management Tool For My Business?